Have you ever tried using products containing Activated Charcoal? It has so many benefits for your skin, body and overall health! From teeth whitening to pore cleansing, you need to get your hands on Activated Charcoal! Have you ever tried using products containing Activated Charcoal? It has so many benefits for your skin, body and overall health! 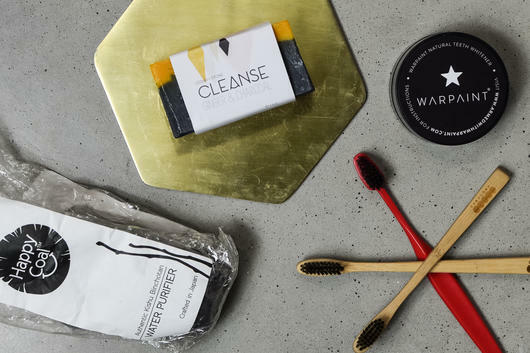 With its amazing natural ability to draw out toxins and impurities, Activated Charcoal can be found in everything from cleansers and scrubs to tooth brushes and water filters! If your teeth are stained from common culprits including wine, tea and coffee, Activated Charcoal can help to remove them! Activated Charcoal may help whiten teeth, balance pH levels and prevent bad breath and cavities. It does this by absorbing the plaque that builds up on your teeth. Your smile will be brighter than ever! One easy way to incorporate Activated Charcoal into your daily oral care routine, is by using a Charcoal toothbrush! There are two available on Nourished Life that I recommend for adults. The first is the Binchotan Charcoal Toothbrush, made with high quality Binchotan Charcoal. It may help deodorise your mouth, remove plaque and prevent bacterial build up from growing on the brush. The Binchotan may help absorb any chlorine and chemicals in your tap water too! 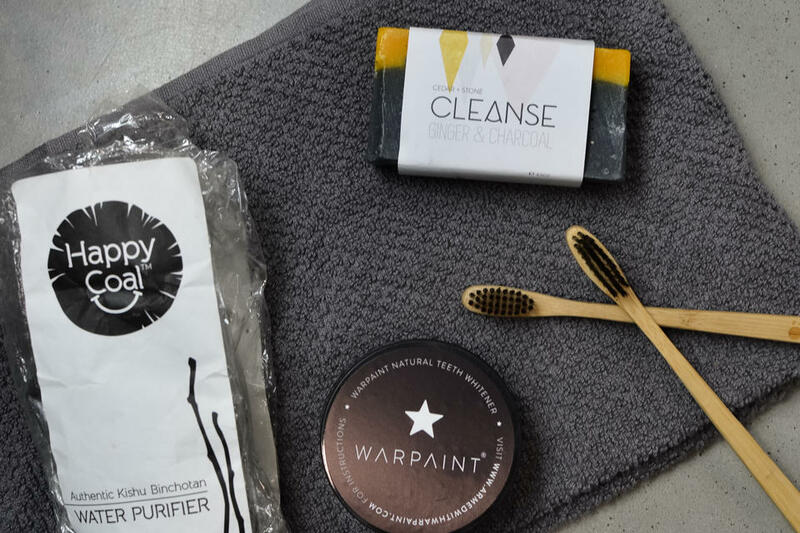 Another great option is the Life Basics Charcoal Bamboo Toothbrush, made from environmentally sustainable Bamboo infused with Activated Charcoal. Known for its ability to remove bacteria and fungi, this toothbrush may help deodorise your mouth and help whiten teeth. We even have an option for your kids, giving them an even brighter smile. Created using Activated Charcoal, this toothbrush is gentle on sensitive gums. If a brighter smile is what you’re after, the Warpaint Natural Teeth Whitener is an amazing product and lots of fun! 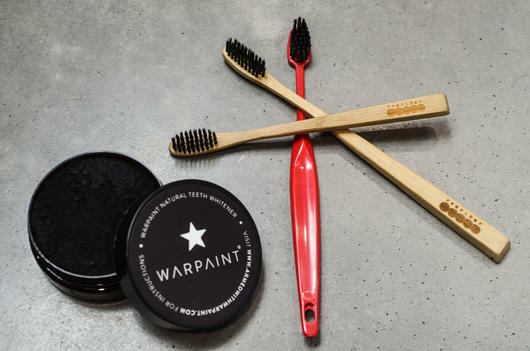 Despite the fact that it can get a little messy, Warpaint may help to remineralise teeth, strengthen gums and remove toxins in your mouth. Formulated with Coconut Shell Charcoal, Australian Calcium Bentonite Clay and Peppermint, this teeth whitener may help remove stubborn stains and leave you with a pH balanced mouth. To use, dip a clean, wet toothbrush into the Warpaint and brush in small circles for two minutes. Keep your lips closed as the product is black when applied! Activated Charcoal is commonly found in water filters as it helps to trap impurities and leave cleaner, safer water. My recommendation is the Morihata Authentic Kishu Binchotan Water Purifier because it’s potentially the world’s most eco friendly filter! Made with Kishu Binchotan Charcoal, this purifier naturally absorbs chemicals in your water. To use, first boil the charcoal for 5 minutes, then drain and cool. For every 1 litre of water, use at least 60g of Binchotan. Refrigerate for at least 5 hours to purify. Each stick should be enough to filter two litres of water and last for about three months. It’s recommended you reboil every two to three weeks. Activated Charcoal is also a fantastic skincare ingredient as it may help to draw out impurities, exfoliate the skin and minimise pores! For the ultimate deep cleanse and light exfoliation, the Life Basics Konjac Sponge - Bamboo Charcoal uses Activated Charcoal Bamboo to magnetically remove dirt and grime from your face, and it may help balance the skin’s pH levels too. To use, wet the sponge and use in circular motions on its own or with a cleanser. For an everyday shower cleanse, the Life Basics Activated Charcoal Face & Body Soap Unscented is ultra nourishing and can be used on both face and body. Suitable for all skin types, this purifying bar soap gently removes dirt and absorbs toxins and impurities on the skin's surface. This unscented bar leaves skin soft and smooth, and is gentle enough to be used as a facial cleanser as well as body soap. If you’re a body scrub lover like myself, the Buddy Scrub - Activated Charcoal will become your new skin care staple! Formulated with a blend of Sea Salt, Coconut Oil and Activated Charcoal, this body scrub deeply cleanses to purify the skin and may help promote circulation. 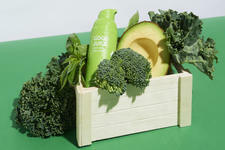 It’s ideal for anyone with body acne or congested skin. I recommend using this scrub 3-4 times a week.